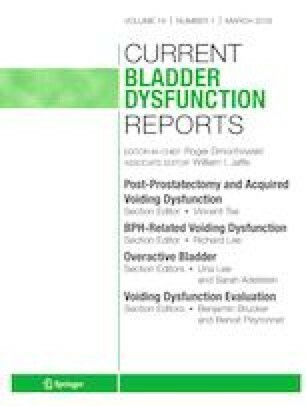 This review will explore how lower urinary tract dysfunction may result from pelvic oncological extirpative surgery across multiple disciplines and how to avoid it. Minimally invasive colorectal surgery offers superior dexterity, precise movements and improved vision to identify and carefully dissect off neurovascular bundles. This reduces the incidence of postoperative retention and improved subjective and objective urodynamic parameters. Pneumoperitoneum and inappropriate retraction techniques may however still lead to urinary tract dysfunction. Data regarding presacral surgery and its complications is limited. A better understanding of anatomy and modifications to the radical hysterectomy procedure has allowed for improved surgical outcomes and urinary tract function. Cautious dissection of the lateral parametria differentiates the hypogastric plexus (particularly the inferior branch) from vascular structures and ligaments. Bladder dysfunction can have a significant impact on a patient’s quality of life. Surgical techniques to preserve important neurovascular structures have been described. Despite this, there is still a high incidence of urinary tract dysfunction. Surgical techniques in the future may be better refined to microscopically dissect off neurovascular bundles; improve assisted neurological monitoring; or enhance super-imposed imaging, to optimise and preserve lower urinary tract function.